Calculate each of the following expressions. Practice your addition and subtraction any way you like using mental math, or without the use of a calculator. Make sure to show your work. In a 300 meter race, Julie finished in 45.42 seconds. Christine finished in 44.51 seconds, Alice finished in 42.08 seconds, and Sarah finished in 42.24 seconds. Julie had the longest time, so she came in last. Compare the following by filling in the blanks. Round to the nearest hundredth. Determine parts of each fraction. It's all or nothing now! Compare the following by filling in the blank (without using a calculator). Prime numbers can only be divided by one and themselves. Composite numbers can be factored into several prime numbers. 36 is a factor of 36 because you can divide 36 by 36. Simplify the following fraction expressions without the use of a calculator. Reduce your answer fully. You don't need a common denominator for multiplying fractions, look it's easy! Given the following 3 different examples of ways to solve, use whatever method you prefer, and enter your answer as a fully reduced, mixed fraction. Yup, this is how the 'distributive property' works. Find and state the pattern in the following. As you divide by a smaller factor of ten each time, the decimal place moves one place to the right, and the resulting number gets bigger. As you multiply by a smaller factor of ten each time, the decimal place moves one place to the left, and the resulting number gets smaller. Solve, without the use of a calculator. Count the total number of decimal places in the numbers (your magic number). Move the decimal to the left by the total number of decimal places (your magic number). Count the total number of decimal places in 30.31 and 5.00 = 2 + 2 = 4 decimal places. Move the decimal 4 places left. = 1 + 1 = 2 decimal places. Move the decimal, by the same places as the question, 2 places left. = 2 + 1 = 3 decimal places. = 2 + 2 = 4 decimal places. = 1 + 4 = 5 decimal places. Dividing whole numbers by decimal factors of ten (0.1, 0.01, and 0.001...) will make the number in your answer bigger. ÷ means move the decimal to the right. Set up the number by adding more zeros on the end. See how this does not change the number yet, it's still twenty-one point five. Then move the decimal place over in the correct direction, and the correct amount of times. That's it! ÷ 0 . 0 1 means move the decimal twice, to the right. Move the decimal place to the right, making the number bigger. Solve the questions below using the following example as a guide. The curriculum says 105 should round to 100, the nearest largest place value. Simplify the following, without the use of a calculator. A bubble gum container holds 24 blue and 32 red gumballs. What is the ratio of red to blue? 0:90 or 90 seconds is actually longer than 1:00 or 1 minute, which is only 60 seconds. Which of the following units of measurement would be most appropriate for measuring the height of your refrigerator? Make sure the number of kilometers is always a factor of 1,000 lower than the number of meters. Move the decimal by three, to the left. Move the decimal by three, to the right. Move the decimal by one place, to the left. Move the decimal by one, to the right. Move the decimal by two, to the left. The prefix milli (m-) means one thousandth. There are 1,000 mm in 1 m.
To go from kilograms (kg) to grams (g) to milligrams (mg): or the other way around, from milligrams (mg) to grams (g) to kilograms (kg)... Move the decimal place 3 times to the right when multiply 1000. The prefix kilo (k-) means one thousand. There are 1,000 m in 1 km. When you divide by 1000, move the decimal 3 spaces to the left. Add each of the four side lengths to get the perimeter of the rhombus. Each side of a square is equal. Divide: 25 ÷ 4 = ... Each side is 6.25 cm. The perimeter of one square is 4 × 4.5cm = 18 cm. If the total perimeter is 80 cm, then the perimeter of the other square must be: Since the sides are all equal, divide 62 cm by 4... Each side is 15.5 cm. 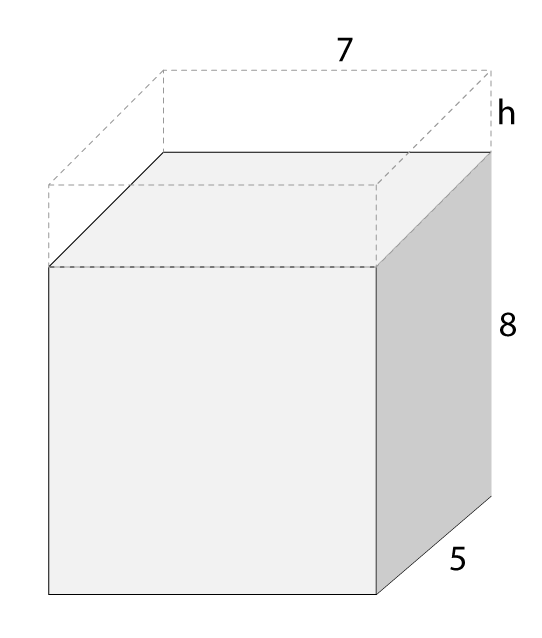 The perimeter of one square is 4 × 11 cm = 44 cm. Parallelograms are quadrilaterals that have opposite sides that are parallel and equal in length. See that this shape is made of two triangles plus one rectangle. The triangles and rectangle have: height = 5 cm Calculate the base lengths of the triangles. Now that you have all the dimensions, calculate the area of each shape Add the area of each shape together to get the total area. The diagram below shows the same size squares, one is in units of meters, the other is in units of centimeters. This is the correct conversion. Obtuse triangles only have 1 obtuse angle. True. And an acute triangle with all angles equal is called an equilateral. Look at the differences in the side lengths in these triangles, indicated by the different number of tick marks. An isosceles triangle has 2 equal side lengths. None of the side lengths are equal in a scalene triangle. With the use of tick marks. The same number of tick marks indicates the side lengths are the same. For example, equilateral would have three single tick marks, isosceles triangle would have two single tick marks and a double, and a scalene triangle would have on of each of: single tick mark, double tick mark, and triple tick mark. Using a ruler and a protractor draw the shapes exactly, labeling the side lengths and angles. An isosceles triangle with two 30˚ angles and a single 3.5 cm side length. An equilateral triangle with 5cm sides. Congruent means same size and same shape. (The rest are similar shapes, with the same shape but different size). Regular polygons have all side lengths and angles equal. This is the general order... Google 'em! There are 8 equivalent angles and 8 equivalent sides in an octagon. A pentagon. See the first obtuse angle (greater than 90˚) is the pentagon with 108˚ for each angle. One up from a square with each angle at 90˚. Add 5.5 to the term number. Divide 11 by 2 and add to term number. Subtract 5.5 from the term number and add 1. Multiply 5.5 by the term number. 60 is the 4th term in the pattern, so the term number is 4. Determine the pattern rule first: +9. Then find the 5th term. 5th term is 45. Find the pattern rule for the number of tickets, and the pattern rule for the cost. Start with 3, and then use the pattern rule of 10 up to 53... The term number is 6. Make a table of values and a graph of the coordinates for the following pattern rule. Let 'x' be the term number, and let 'y' be the term. Solution Start with 2, then add one to each term and double it to get the next term. Find the missing numbers using guess and check. Show your work and simplify line-by-line. Solve with guess and check... 1, 2, 3, 4, 5, 6! "Three less than a number" means subtract (take away) 3 from your number, n.
Yes these are all the same. They all mean multiply 2 × n.
Solve for each of the unknown variables. Multiplying by 10 makes the number bigger. Move the decimal place 1 to the right (because there is 1 zero in 10). Multiplying by 100 makes the number bigger. Move the decimal place 2 places to the right (because there are 2 zeros in 100). You can see that the number got bigger by a factor of 10, so the decimal must have been multiplied by 10. The variable (n) should be a factor of 10 lower than 22.22, so move the decimal place once to the left. So the number had to be 2 decimal places smaller → move the decimal 2 to the left. Packs of gum cost $4.00 each, and packs of batteries cost $5.99 each. The 'overall' trend is increasing. World population is increasing constantly. Changing the scale of the axis on the left (y-axis) can make the graph appear smaller, or larger.